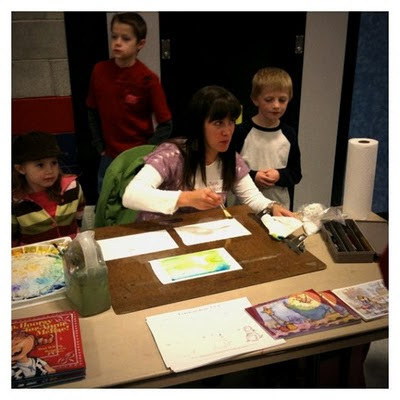 In the Fall I went to a charter school in the area and participated in a charity gift basket and art auction night (all the proceeds going directly to the school). 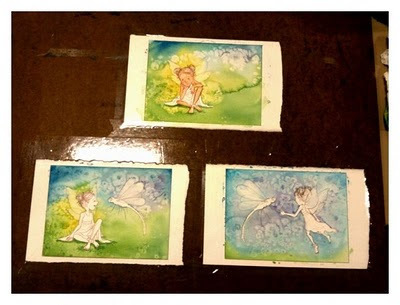 I started and finished a small set of fairies for the auction in the 2 1/2 hour night. Here are some photos from it. 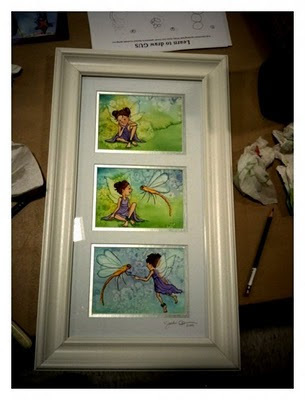 The piece did sell and for a respectable price. It's always nice donate to good causes.